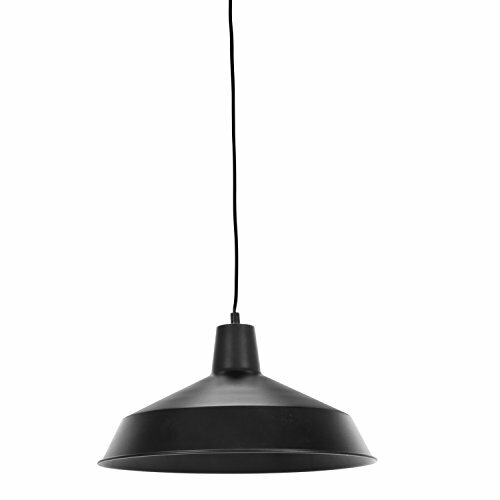 With its matte black finish and modern profile, the Globe Electric’s Barnyard 1-Light 16″ Industrial Warehouse Plug-In Pendant emits a cool, practical presence, like those found in large warehouses, artists’ lofts, or retro-style barber shops. 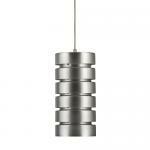 Made of durable metal, the transitional-style shade offers a clean, casual look and general all-over room lighting. Use it anywhere from over the kitchen table or bar to above a sitting area in the living room or in a workshop, game room, or studio. 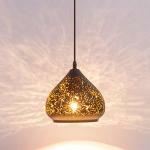 The light comes with a 15-foot power cord for easy hanging installation. Requires one 100W medium based Edison bulb (sold separately). 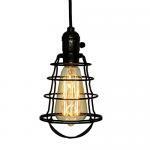 Check out Globe Electric’s vintage inspired bulbs to add a classy unique touch.